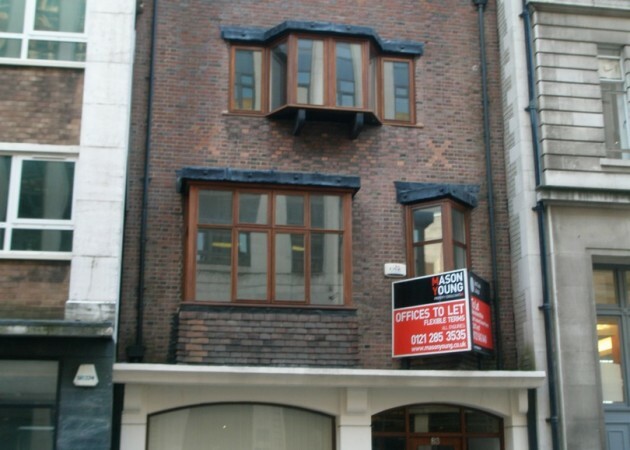 The property occupies a prominent location on Newhall Street close to the junction with Great Charles Street. It is approximately 0.4 miles from Snow Hill Train Station and approximately 10 minutes from the Bullring Shopping Centre. It is also a short drive to the A38(M) which in turn leads to the M6 motorway and wider national motorway network. The property comprises a mid-terrace three-storey office building of traditional brick construction by a pitched tiled roof. The property comprises of cellular office accommodation arranged over three floors with a ground floor reception area. Internally the offices benefit from wooden floors, painted and plastered walls, flat panel LED lighting, new central heating system with Valliant combi boilers, and new toilet and kitchenette facilities on each floor. The first and second floors are accessed via an internal staircase. Storage accommodation is available at third floor level and within an external brick store. There is a small paved, enclosed garden to the rear. 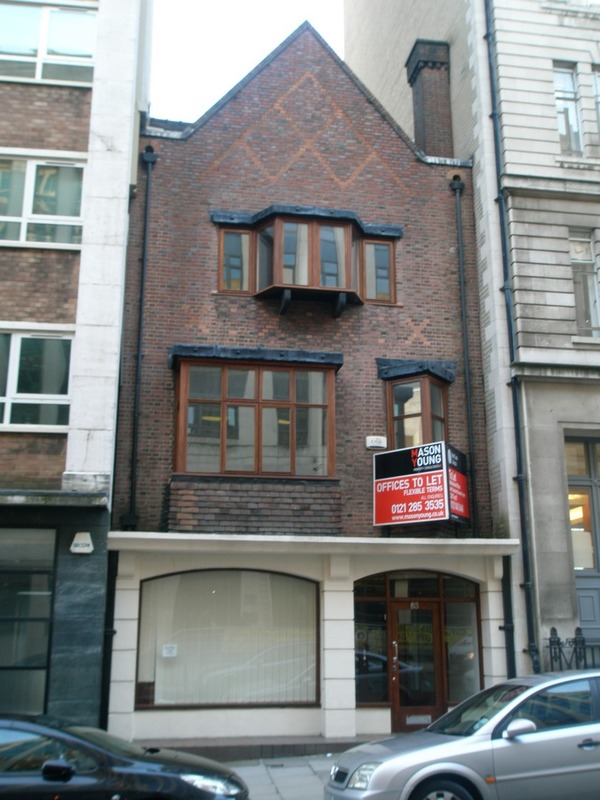 The offices are available on a full repairing & insuring basis, subject to contract. The rent is based on £12.50 per sq ft exclusive. Terms to be agreed. The property is currently listed within the 2010 rating listing as having a rateable value of £28,750. Rates payable will be in the region of £13,168 per annum. Each party is to pay their own legal costs.